Pigs In Zen is a silverback CD bootleg by J&A Music. 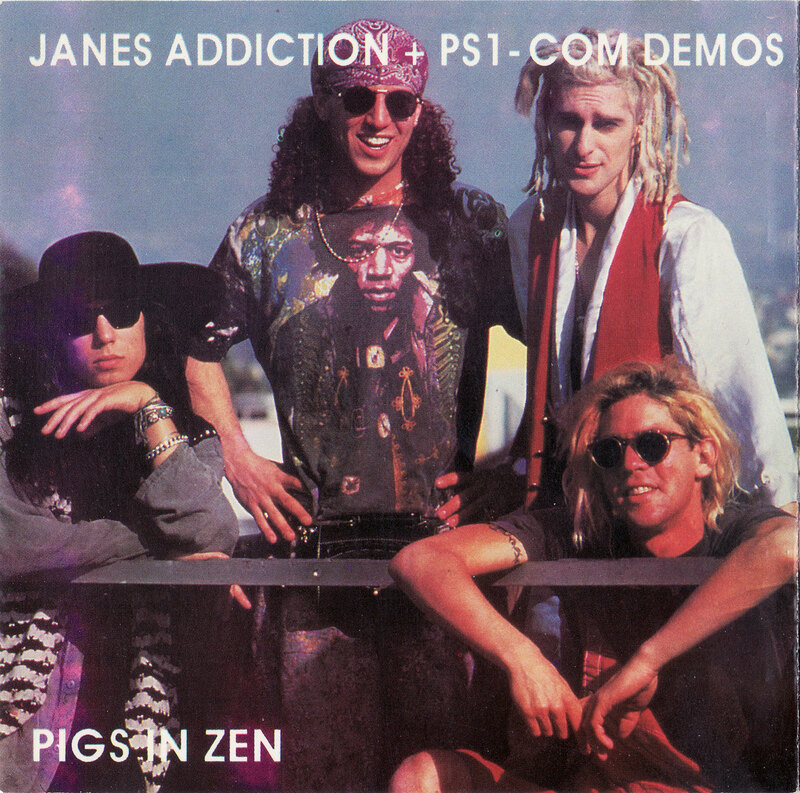 It includes demos for both Jane’s Addiction and Psi Com, as well as some rare studio tracks. The included Psi Com demos make this bootleg highly sought after by collectors. None of the Jane’s Addiction demos are particularly rare, and have been released a number of times over the years. While the disc lists that it contains four Psi Com demos, in reality it only includes three instrumental demos from Psi Com. These demos were recorded in 1984 at Radio Tokyo studios in Los Angeles, CA. The fourth demo is actually a comedy bit called New York Telephone, which was added on as “filler content” by a tape trader who obtained and leaked recordings of the Psi Com demos. It has no relation to either Jane’s Addiction or Psi Com. This bootleg also includes Jane’s Addiction’s cover of The Grateful Dead’s song Ripple that was recorded for The Grateful Dead tribute album Dedicated. The final track on this bootleg, listed as Holy Word, is a recording of Perry Farrell reading his Letters to Xiola poem, that was included on the rare Holy Word spoken word compilation.